ECW is the inclusive circle of ALL women in St. Paul’s Church. We are divinely connected – giving, receiving and growing through faith and fellowship. 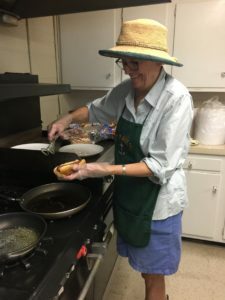 ECW has long been a vital part of St. Paul’s, working to raise funds for local and national missions, participating in hands-on ministries like Habitat for Humanity and Rise Against Hunger. 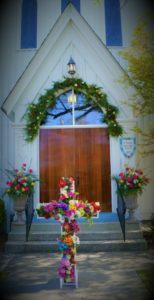 Throughout the church year, the ECW hosts inspirational events, social gatherings, and fund-raisers. The annual Harvest Bazaar on the second Saturday in November. This is our biggest fundraising event, a community must-do at the start of the holidays. A one-day retreat during Lent, held at the Trinity Center in Salter Path. We gather to reconnect spiritually with the meaning of Lent, with a guest speaker. Bereavement Meals provided to grieving families in the church, and Comfort Baskets for those who have lost a loved one. Raising money for the Church Periodical Club, which provides money to the seminarians in our diocese, to use for books. And through our work, we strive to take care of each other. Almighty God, we pray that You will bless our work in mission and ministry in the world. Help us to pray fervently, labor diligently and give liberally to make known the power of your love given through your son Jesus. Let us not forget the lessons from the past nor fear the challenges of the future. Anoint us with your grace and shine in our hearts as we reflect your light throughout the world. Amen.